The all new amazing Throat surgery simulator. If you want to be a dentist in the future then this virtual surgery simulator game is all you need. You can select your own patients and become the best dentist clinic in the city. Your hospital doesn’t have any dentists and nobody is fond of taking care of their teeth. Every mouth stinks and their teeth are like zombie teeth. Become a pro at giving root canals and after that a very sweet candy to your patients. Impress the patient with different tooth pastes and dental surgery kit to show your experience in the hospital. Play the awesome game with 3D characters like no other dentist game on the market. Open your patient’s mouth to see any cavity and germs so they can be treated. Extract the bad tooth and see if there are any monsters hiding in their mouth. 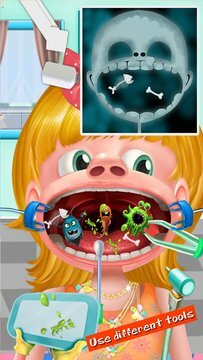 The most fun thing is that you can play loads of mini games in this virtual dental operation. 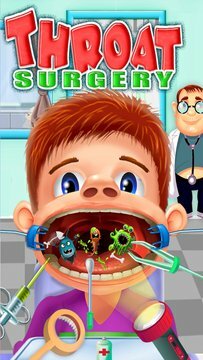 So show your friends that it’s time to revolutionize the doctor games and stop playing games like maternity and surgery simulators, because this is the real virtual dental surgery simulator that beats all the other doctor games.